When meeting someone for the very first time, your smile is likely to create a vivid first impression. 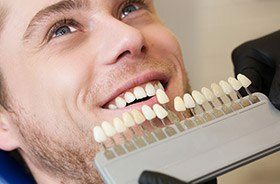 Unfortunately, many patients would say that their own teeth aren’t creating the impression they truly want because of noticeable flaws and imperfections. At Willow Run Dental Association, we offer a variety of cosmetic services that are specifically designed to elevate the look of your teeth and create stunning, lasting improvements for your self-image. Our doctors will always take the time to not only create painstakingly personalized results, but prioritize oral health and durability in addition to aesthetic value. If you would like to attend a consultation here in Auburn, ME, you are welcome to contact us today. Sometimes, our patients feel overwhelmed by the stains, chips, cracks, gaps, and other dental problems that plague their current smile. For a comprehensive makeover that only requires a few appointments of your time instead of several lengthy procedures, we are likely to recommend porcelain veneers. These high-quality restorations are carefully crafted from dental porcelain and designed to fit over the front surfaces of teeth as a lifelike shell. All at once, years and years of frustrations will be safely hidden from view behind a seamlessly attractive and lifelike replacement. 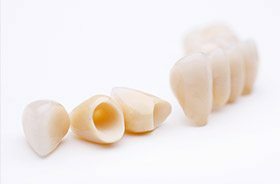 Are you in need of a new dental crown, inlay, onlay, bridge, or other restoration? Today, patients no longer have to choose between replenishing their smile’s health and maintaining a wholly natural appearance. Our metal-free materials are 100% biocompatible and so similar in appearance to natural tooth enamel that they even contain the same translucent qualities. We will create your new restoration either through traditional lab fabrication or with the assistance of our state-of-the-art CEREC technology for a faster, more efficient process. Are you hoping to correct a relatively small cosmetic flaw, such as a chip in the tooth enamel, dark spot, or thin gap between two teeth? Dental bonding is a convenient and highly effective method for completing these improvements during the span of one dental office visit. Our dentists will utilize composite resin, which comes in a spectrum of lifelike shades that will be closely matched to your smile’s color. Once we’re confident in our selection, it will be artistically sculpted into place over the area in question as a subtle addition and hardened with a hi-tech curing light. As the years go by, most smiles will start to lose some of their natural glow. This may happen because of a diet that’s rich in wine and coffee or because of unavoidable factors like genetics and age. 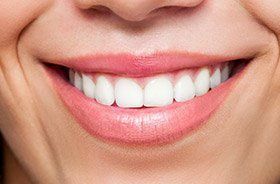 Whatever the circumstances are, these dull effects can be reversed with professional teeth whitening here in Auburn, ME. Our team offers both ZOOM! 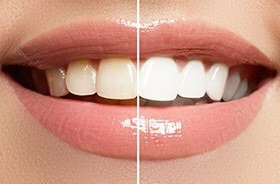 in-office whitening for fast, dramatic improvements that can be completed in a single appointment and ZOOM! take-home kits for a more convenient and gradual treatment process that can be completed on one’s own schedule.